We have recently completed a world tour of all non-US Disney parks, and of these Shanghai is the one that people seem to know least about. As one of the newest parks it features some of the newest and most impressive attractions alongside versions of old favorites. 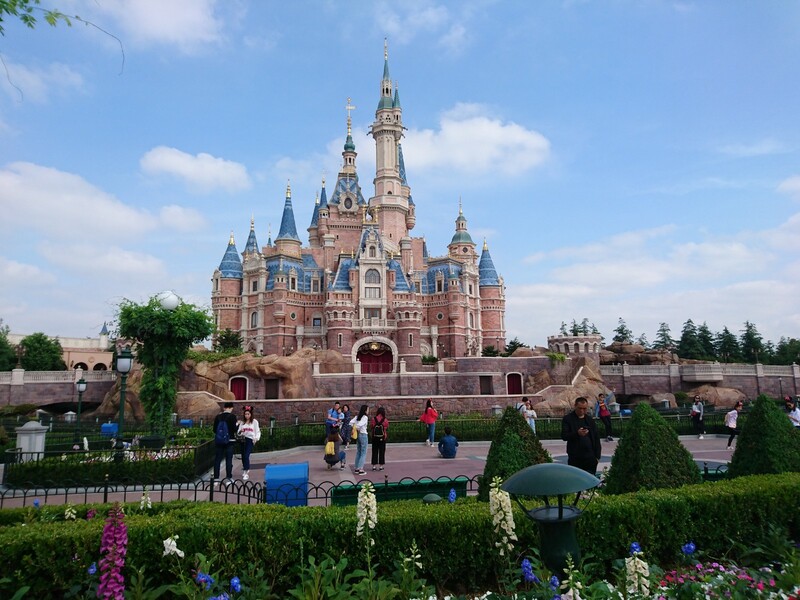 Shanghai Disneyland is the perfect example of Disney catering to local audiences, with a Mandarin version of Frozen Singalong (although even the locals were singing in English in places) and Chinese variations of Disney theme park foods. My first trip to Shanghai Disneyland was while staying in a hotel in central Shanghai. This is the biggest mistake you can make in visiting Shanghai Disneyland. Whilst the JW Marriott Hotel Shanghai at Tomorrow Square is unquestionably one of the better hotels I have stayed at recently, and the journey by Metro to the parks isn’t too bad, it’s still a mistake. As a regular park guest, you will be queueing to get into the park for over an hour with no shade. The crowd is tightly packed, and the repeating announcements quickly get annoying, and by the time you get into the park the more favored attractions will already have queues of well over an hour. The biggest tip I can offer is to stay at the Toy Story Hotel the day before you want to visit the park. They recommend arriving early during busy periods, but you also don’t want to arrive before the 3pm check-in because they will make you wait to get a room key. Coming from Pudong airport involves a long journey a good way into town and then back out again by either Metro or combination of Metro and Maglev. The Maglev costs around ten times more than the Metro, but still isn’t ridiculously expensive, and if this is your first visit to Shanghai then you will probably want to take the Maglev just to say you’ve done it. Doing the journey the whole way by Metro is a little simpler, and you’ll meet more locals who can be quite chatty. Taking a taxi is a route I’ve never done in Shanghai, but is probably the quickest route to the park if you are jetlagged and need to crash; but do make sure you get an official taxi and don’t be talked into other options. From the Metro station there are complementary buses to the Toy Story Hotel from the nearby bus station. This can be a little difficult to find, in which case you can instead walk past the park and through Disneytown, where signposts to the hotel will actually take you to a second bus station. The staff at the Toy Story Hotel are some of the most helpful and friendly hotel staff I have ever had the pleasure of dealing with. Upon arrival they will explain in great detail everything you need to know, and this level of help will continue throughout your stay here. Do make sure you get setup with a wifi connection during your arrival, as this will become important later on when you make it into the park. Safely checked into your hotel room, you now have the option of dinner and an early night, or heading into the park for some shows and the night-time show. 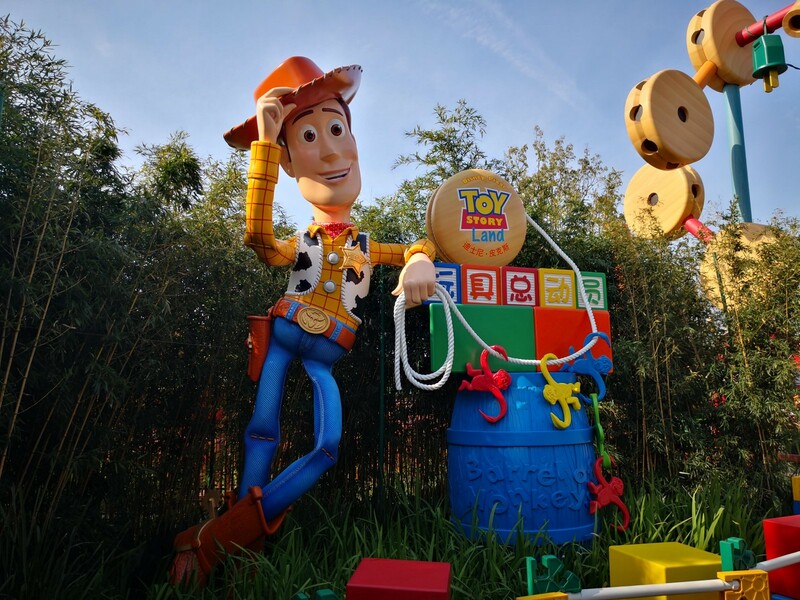 Your first morning is where you really start seeing the benefits of staying at the Toy Story hotel. If you have paid for the breakfast buffet then you can get a small breakfast (the Chinese options are much better than the attempts at western offerings) before catching the bus to Disneytown. From Disneytown, you are guided to a private entrance to the park — with a very small queue that will get into the park an hour before everybody else. Show your hotel key and your park ticket to get in. Once in the park, the Shanghai Disney app will recognise this and you can start booking fastpass tickets — a whole hour before anyone else can start booking them. And this is why you need access to the park wifi, which can only be obtained after checking into your hotel room. The attraction queues at this point aren’t quite walk-on, but they are the shortest they will be the entire day. The fastpass tickets you can book at this point are so early in the day, that you will be able to make your second fastpass booking not long after the rest of the park guests get into the park. From here you can follow the tips that other Disney bloggers suggest. Whilst you will be tempted to run towards Tron or Pirates of The Caribbean, two of the more unique attractions, these ones don’t see the longest queue. 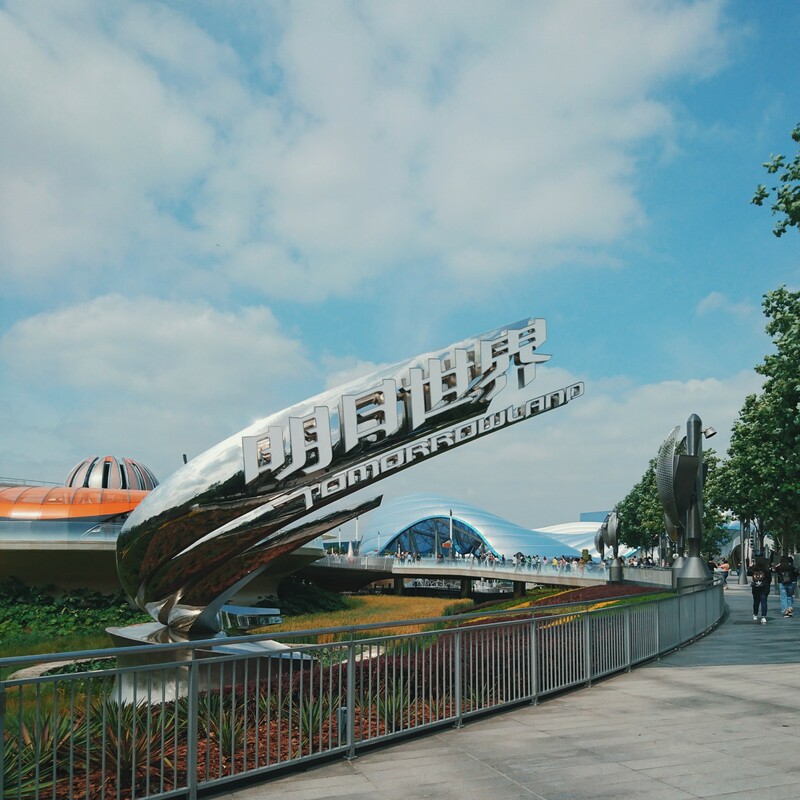 You almost certainly want to head straight to Soaring Over The Horizon, a Soarin clone which ends in Shanghai with a unique queue experience. The queue times for other attractions vary quite wildly during the day, so you’ll want to keep an eye on these using the Shanghai Disney App. After the pure Disney magic that is the night-time show, you’ll now want to head back to your hotel rather than risk missing the last Metro back to the city. You’ll have missed out on the hotel’s dinner buffet as it finishes at the same time as the night time show does, so you may want to find somewhere to eat in Disneytown. You might however get a call from the cafe staff offering you a complimentary room in your room if you’ve already paid for the buffet. The best way to travel back to the Toy Story Hotel is on foot if you still have the energy. Take the Disneytown exit, then the elevated pathway (ignoring signs to the hotel), and then head right from the car park picking up signs to the hotel again. The next morning, you can checkout, and catch the bus to the Metro station (keeping your room key as a souvenir), and head into Shanghai to explore the city. Alternatively, if you are staying for a second day you can have the hotel staff deliver your luggage to guest services at the park entrance. You can also do this in reverse, but that involves the large queues into the park with the regular guests. If you’re visiting on a transit visa then your time in Shanghai will be fairly limited, and you may be tempted to maximise your time in the park. It’s your call, and you can easily spend two days in the park if you want to see some of the shows as well as the attractions. But Shanghai also has some amazing architecture and great food. 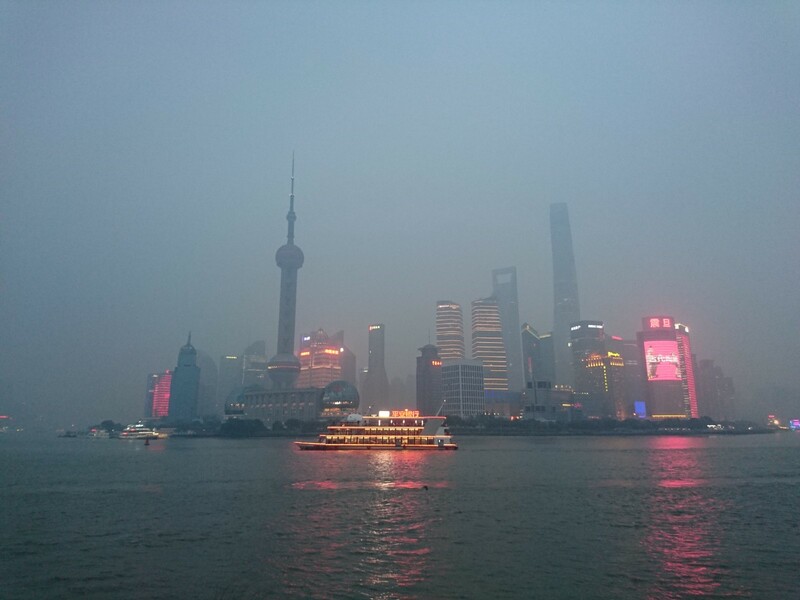 If you have the time, then I can highly recommend a food tour with Untour Food Tours as well as a visit to the Shanghai Science Museum and a stroll along the Bund at night.